A great response to an article published early last week that was so unbelievably misinformed. Thanks, Brian, for putting this in perspective and setting the record straight! A couple of days ago, an article appeared in Bloomberg that was so misinformed, so short-sighted, so petty, so ignorant, and so utterly ridiculous that to let it go unchallenged would be irresponsible. The article came from Manuela Hoelterhoff, the Pulitzer Prize-winning executive editor for Bloomberg Muse and author of Cinderella & Company: Backstage at the Opera With Cecilia Bartoli. Clearly, a capable and decorated writer who has been in the business for many years and deserves respect from this lowly radio host. 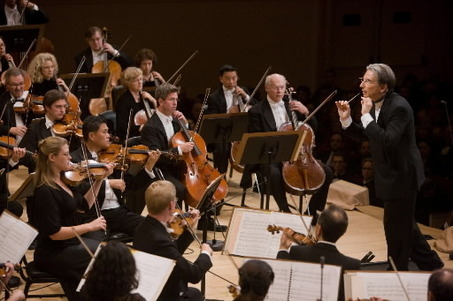 Earlier this week, Hoelterhoff decided to take on the labor dispute at the San Francisco Symphony. She proceeded to rail against the SFS musicians for “sulking,” saying they “have stopped working because they don’t like doing what they are meant to be doing.” As if a labor stoppage is ever about enjoying one’s job.